Reading stories aloud to children has long been proven to boost early literacy skills, but less has been revealed about the impact of a story’s format on learning. 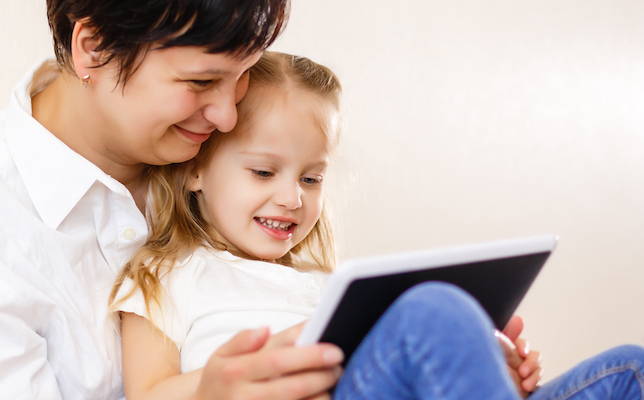 Now, new research coming out of New York University ’s Steinhardt School of Culture, Education, and Human Development (NYU Steinhardt) says that preschool-age children will comprehend a story in both digital and print formats if they enjoy the story’s content. Furthermore, the study concluded that while nothing can exactly mimic the experience of an adult reading aloud to a child, “there are certain features in video that might enhance word learning, especially for children with limited vocabulary,” said Susan Neuman, a professor of childhood and literacy education at NYU Steinhardt, in the announcement. Neuman co-authored the study with Kevin Wong, a doctoral student in the Department of Teaching and Learning at NYU Steinhardt, as well as Tanya Kaefer, a professor at the Department of Education at Lakehead University in Canada. The research was presented at the American Educational Research Association’s annual meeting in San Antonio, May 1.